With 6 years of corporate experience and a year of teaching experience, just being at home and not being able to value add on professional grounds always made me feel incomplete. But managing two little kids and my family remains the primary commitment of the hour. Yet, I wanted to engage myself in something which would let me devote enough time to my family. So, PlanetSpark truly brought back the spark in my life. I have always had a passion for academics; it was the best thing that could happen to me. The team of Planet spark includes sparkling educationists who want to bring an innovative change in the education system. I could correlate to their agenda right away. I liked the program more as a parent and then chose to associate and promote it as a Teacher-Partner. The thought of bringing back Joy in learning is the USP of the program. We need to prepare our children for the future which is very competitive and cut throat. So, we need to make them problem solvers and critical thinkers along with being diligent and assiduous. In PlanetSpark, a lot of research is being done to find out ways of imparting education in a way that it is fun for the children and that, they are eager to come for the classes, go through structured knowledge building process and gain knowledge that remains with them for the longer term. With appropriate back up of studying content and practice sets, the kids are exposed to an assured steep learning graph which goes sharper depending on their involvement. Every class that I take up with the children is so evolving and enriching. I am thoroughly enjoying my rendezvous with PlanetSpark. Hope this association to grow more and more rewarding for all of us. 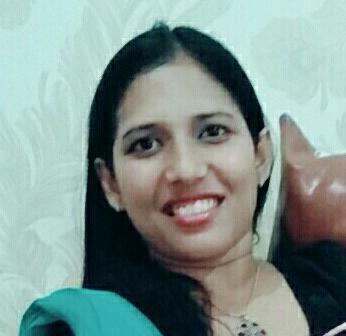 Ankita Dhoot is a Teacher Partner at PlanetSpark.